Beds are undeniably one of the most important home furnishing items and a house cannot be transformed into a home without a beautiful bed that fulfills the requirements of its dwellers. Since the advent of civilization, man has produced different types of beds for ensuring a good night’s sleep. In every era, a new bed design trend grabs popularity. Likewise, the leather beds have been quite popular lately because of the ultimate luxury and comfort they proffer. If you are looking for something that could add a little opulence and flair to your bedroom, then a leather bed is surely your next pick. A leather bed comes with a number of benefits which is why majority of interior decorators in Lahore are also recommending it to modern homeowners. However, before you buy a leather bed, there are few things about them that you must know. AmerAdnan® has penned them down for you. What are the Reasons for Buying Leather Beds? The appearance and finishing of a leather bed is the primary reason why people opt for this bed. Leather beds come in many colors to complement a home’s interior decor. 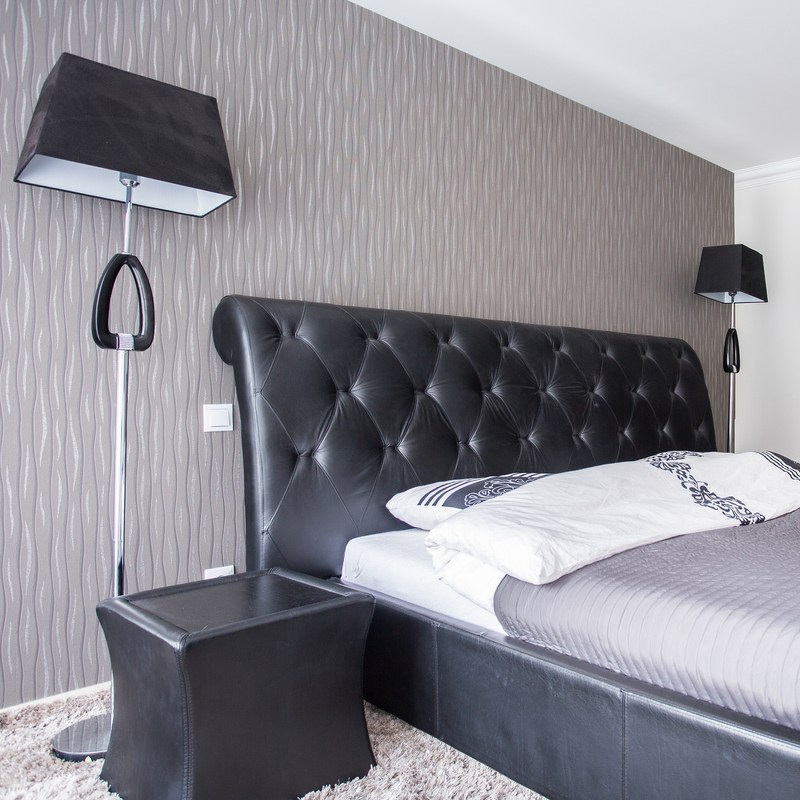 When paired with the right bed sheet, leather beds give an amazing look to a bedroom. Another big reason for buying a leather bed is that the leather upholstery is ultra-durable and doesn’t tear off easily. Are Leather Beds Made of Real or Faux Leather? When you go to a local home furnishing store to look for a leather bed, you’ll come across the faux leather beds as well as the real leather beds. 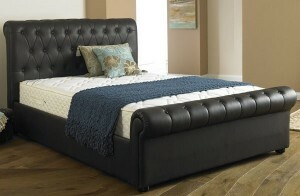 The real leather beds are quite expensive, however, those upholstered in a faux leather are quite economical. They are affordable and offer the same look and feel as the real leather beds. If you want to avoid the hefty price tag, you could opt for the faux leather beds. How Durable are the Leather Beds? The leather beds are quite durable whether they are upholstered in real or faux leather. The leather is resistant to cracking or fading in the sunlight which is why the interior design experts call it a hardwearing upholstery fabric. The frame of a leather bed is either made of iron or wood so they are always strong and long lasting which is why many luxury homes in Lahore have leather upholstered beds in them. How can You Assemble a Leather Bed? Your leather bed will arrive at your place in a few pieces that include headboard, footboard, side rails, center leg and the bed slats. All these objects can be easily assembled with the help of nuts and bolts provided with the packaging. All you need is a wrench or key (that usually comes packed with the bed) for assembling or disassembling the bed. How to Take Care of Leather Bed? Since all upholstered furniture requires special care, so ensure that you keep all the sharp objects such as knives, scissors, and cutters away from your leather bed. It should be cleaned with a wet cloth by wiping it off. The chemical-based liquid cleaners should be strictly kept away from it as they could cause serious damage to the leather.